SLCgreen is recruiting a summer intern team for the SmartTrips program! 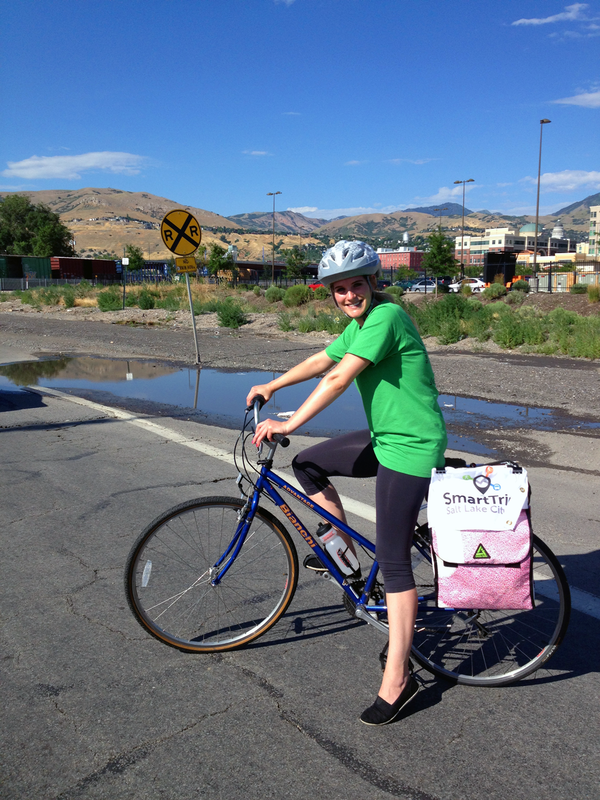 SmartTrips Salt Lake City is a neighborhood-based program that encourages active and public transportation through collaborative community events, educational newsletters and free kits delivered by bicycle. SmartTrips is modeled after similar efforts in Portland, Oregon and other communities, which have all successfully reduced vehicle trips and emissions among participants. This year SmartTrips is visiting Sugar House and the neighborhoods along the recently launched S-Line streetcar. Learn more here: www.smarttripsslc.com. Enjoy getting to know your neighborhood by bicycle? Want to support and work with local businesses to incentivize their customers to leave their cars at home? Looking for an outlet to write about air quality? Like collaborating with schools, libraries and local organizations on environmental education? The opportunities for interns to get involved are many! We invite you to bring your own interests, skills and ideas to our team. Ideal candidates are passionate and knowledgeable about alternative transportation, sustainability, community organizing, and/or the Sugar House area. We ask for a 15-25 hour per week commitment from May to August 2014. Know that there is opportunity to start as early as April or extend through September. Be flexible to attend some SmartTrips events and bicycle deliveries that may occur in the evening and on weekends. Visit www.slcgov.com/jobs and “click here” for Current City Job Openings. Follow the directions to apply for the Mayor’s Office “Voluntary Intern” listing (Bid #12002). In your application, please be sure to specify your interest in interning with SLCgreen’s SmartTrips program. ** Please note that this is a volunteer, unpaid internship. Questions? Please contact SmartTrips Coordinator, Sara Rose, at: sararose.tannenbaum@slcgov.com.